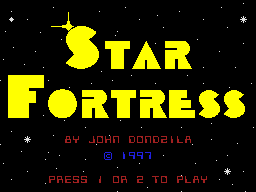 Star Fortress is based on the early 80's style space shooter games, where you (or a second player) attempt to penetrate the shields of a heavily armored space ship. You can manuever your ship around the fortress and shoot at the 3 revolving energy shields. As you weaken pieces of the shields, these pieces will break off. 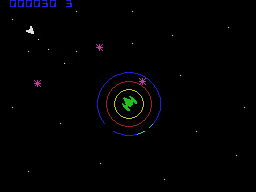 Once having cleared a path to the center, you can attempt to land a shot at the mother ship and destroy it. But watch out ! 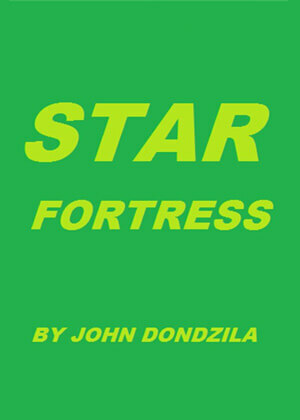 Also revolving around the shields are energy balls which will break loose and try to home in on your ship. You can attempt to out manuever the energy balls or shoot them down. Once you break through the inner shields, the mother ship will fire huge energy balls which you can only outrun, but not destroy.